• First edition hardcover (pictured at right) published 1997 by The Atlantic Monthly Press. Cover illustration by Elaine Cardella; cover design by Rick Pracher. • Mass market paperback published 1998 by Warner/Aspect. Cover illustration by Elaine Cardella; cover design by Don Puckey. • Trade paperback published 2004 by Grove Press. 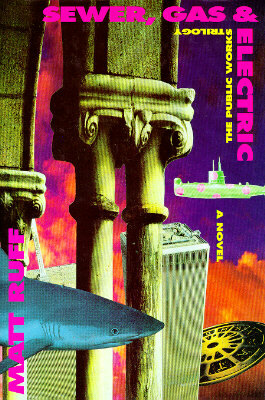 Cover illustration (sans World Trade towers) by Elaine Cardella; cover design by Rick Pracher. • Ebook edition published 2007 by Grove Press. 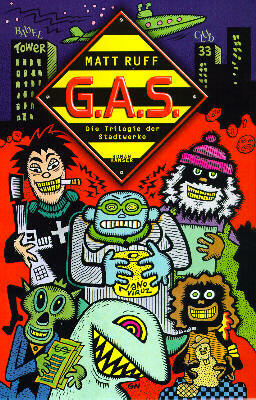 • German-language hardcover (pictured at left), retitled G.A.S. : Die Trilogie der Stadtwerke, published 1998 by Carl Hanser Verlag. Translation by Ditte König and Giovanni Bandini. Cover illustration by Gabriel Nemeth. • German-language trade paperback published 2000 by Deutscher Taschenbuch Verlag. • Polish-language trade paperback, retitled Ścieki, gaz i prąd, published 1999 by Prószyński I S-ka. Translation by Wojciech M. Próchniewicz. • French-language trade paperback, retitled Un Requin sous la Lune, published 2002 by Éditions du Masque. Translation by Guillaume Fournier. • Italian-language trade paperback, retitled Acqua, luce e gas, published 2000 by Fannuci Editore. Translation by Vittorio Curtoni. A reissue with new cover art was published in 2004. • French-language mass market paperback published 2004 by Éditions Gallimard. • Spanish-language trade paperback, retitled Alcantarillado, gas y electricidad, published 2005 by Ediciones Salamandra. Translation by Susana Beatriz Cella. 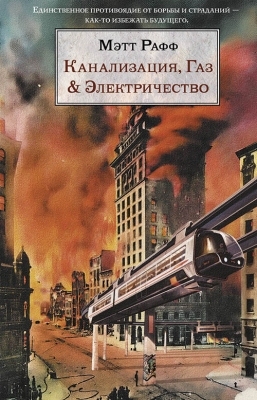 • Russian-language hardcover (pictured at right), retitled Канализация, Газ & Электричество, published 2007 by Eksmo Publishers.